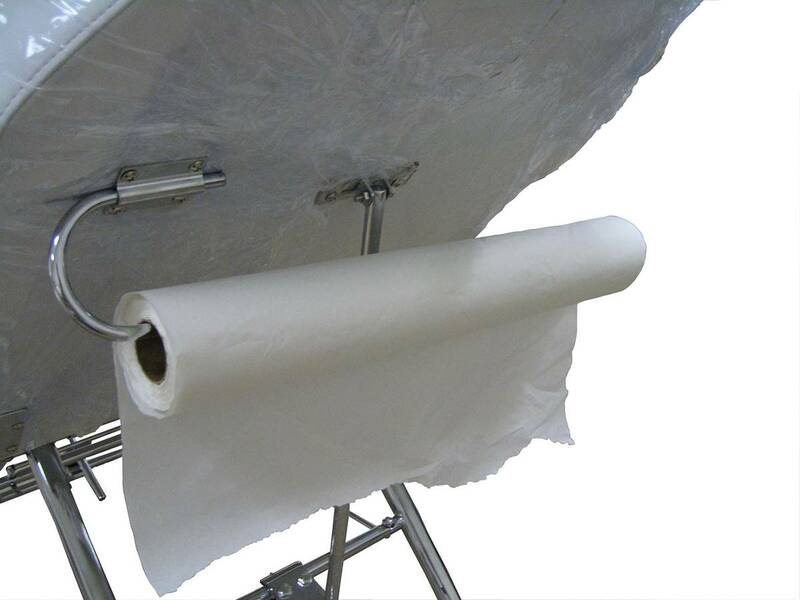 Facial Bed featuring built in face cut-out, adjustable arms, leg rests, upper body support, built-in sanitary paper holder, and stool. Available in white or black. Looking for facial beds or facial chairs? CCI Beauty offers a variety of comfy facial beds that feature a built in face cut-out, adjustable arms, leg rests, upper body support, and an additional built-in sanitary paper holder. Sanitary paper not included. 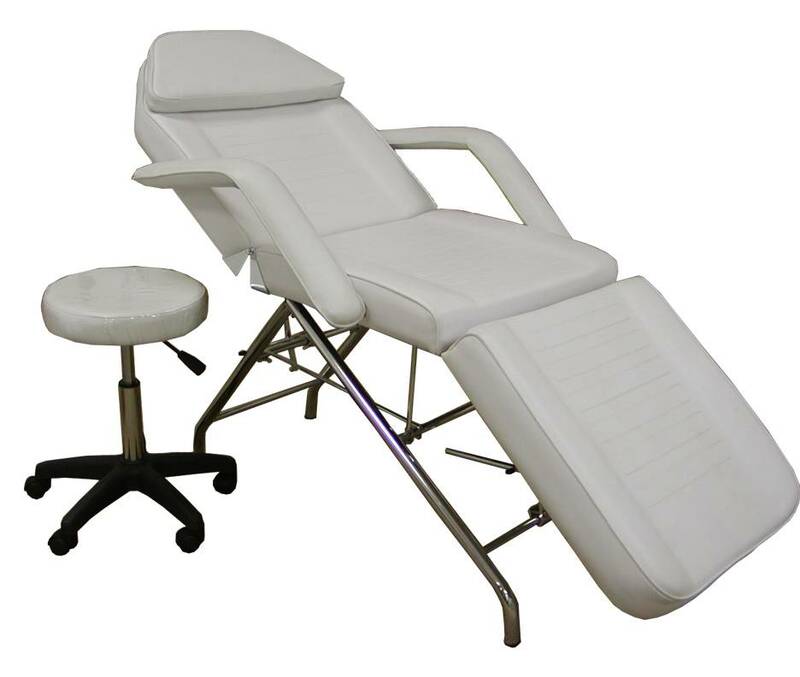 Your clients can lie completely flat or sit up straight in our versatile facial beds. Our facial beds function great for massages as well. CC-001 Stool in matching color comes standard with these facial beds. Facial Bed Length/Width (laid flat)= 72"/25"
Facial beds are available in Black or White. Please select your choice.